New York: Picture of the Day : The 1871 monument of Samuel F. B. Morse, by sculptor Byron M. Picket at Central Park, on Fifth Avenue and 72nd Street. After having established his reputation as a portrait painter, in his middle age Morse contributed to the invention of a single-wire telegraph system based on European telegraphs. 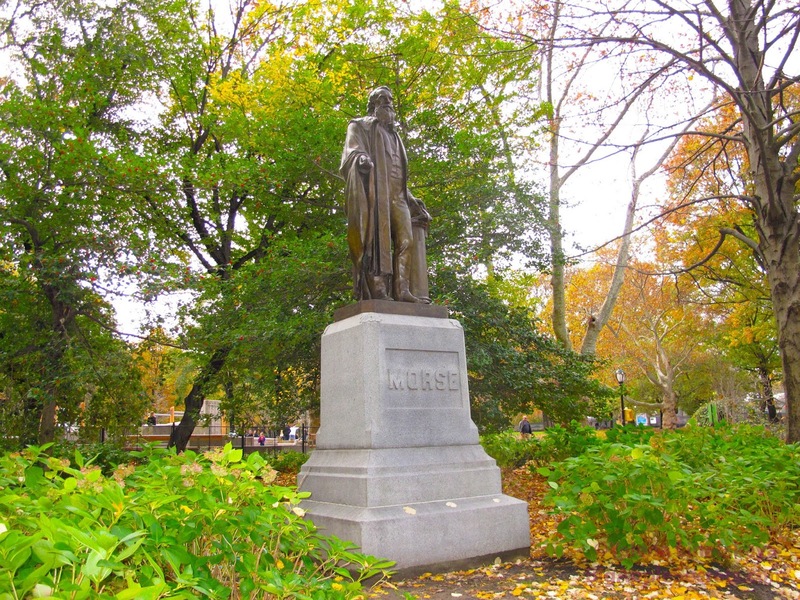 The 1871 monument of Samuel F. B. Morse, by sculptor Byron M. Picket at Central Park, on Fifth Avenue and 72nd Street. After having established his reputation as a portrait painter, in his middle age Morse contributed to the invention of a single-wire telegraph system based on European telegraphs.